As a place of human settlement, Le Mans is rich in archaeological history. Artefacts have been uncovered that date as far back as prehistoric times. A Roman settlement existed here from 47 BC, known variously as Vindinium or Civitas Cenomanorum, the City of the Cenomani. 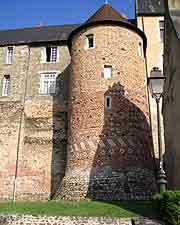 Remnants of Le Mans' Roman occupation are still visible today, including the extensive city walls. 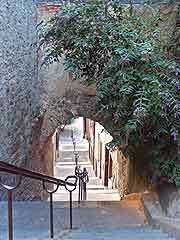 The city's first bishop was Saint Julian of Le Mans, who lived here around the middle of the 3rd century AD. According to legend, during a period of drought, Saint Julian thrust his staff into the ground and prayed for water. 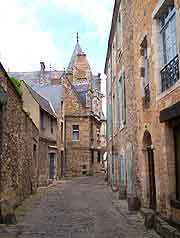 When water began to flow freely, one particularly influential family in Le Mans converted to Christianity and a church was founded, dedicated to Saint Julian. During the 11th century, the Bishop of Le Mans, Lord Arnald, was forced to completely rebuild the cathedral, the foundations of which had started to collapse. During the 11th century, Le Mans was deeply troubled by internal discord. In 1066, William, Duke of Normandy was otherwise occupied, leading an army of Normans to victory in England. In his absence, the nobles chose to renounce their obligations of fidelity to him. Instead, they invited the Marquis Azzo of Italy to take up the lordship of the city, expelling the Norman garrison in the process. When William did eventually return to France, he succeeded in attacking the castle of Fresnay. A treaty was negotiated in which William recognised the citizens' freedom and promised to uphold Le Mans' ancient laws and customs. In return, the city had to surrender completely to his power and authority. During the 12th century, the lordship passed to the Plantaganets, counts of Anjou. Indeed, the future King Henry II of England was born here in 1133. 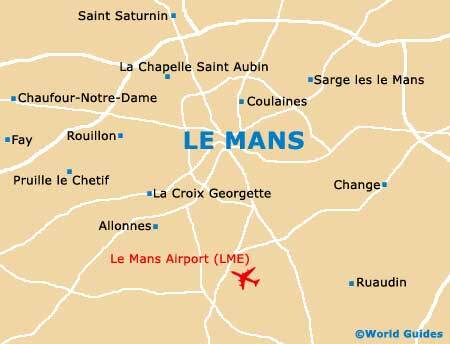 During the 14th and 15th centuries, Le Mans grew in size. The number of affluent houses that can be dated to this point in the city's history are testimony to its growing wealth. Le Mans did not escape the effects of the French Revolution - it was taken over by both the royalists and the republicans. From the mid-19th century, Le Mans moved away from being mainly an agricultural centre and expanded into new industries, including textiles and tobacco. Then, in the early decades of the 20th century, its links with the motor car industry began. The first Le Mans Grand Prix d'Endurance was held here in May 1923 and was won by Andre Lagache and Rene Leonard. This 24-hour race has been held every year since then, with the exceptions of 1936, and between 1940 and 1948. Tragically, Le Mans was the site of one of the worst motorsport accidents to occur. In 1955, a car was thrown into the grandstand, killing 80 people. Traditionally, the drivers had to run across the track to reach their cars, although this form of starting the race ended in 1969. Today, the race continues to attract thousands of visitors.